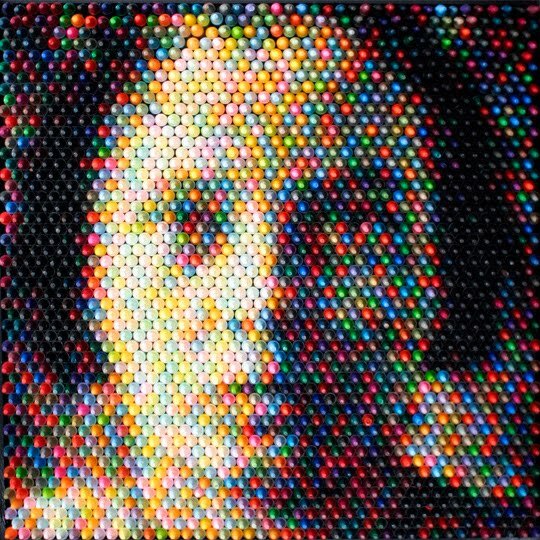 these works are created using wax crayons. 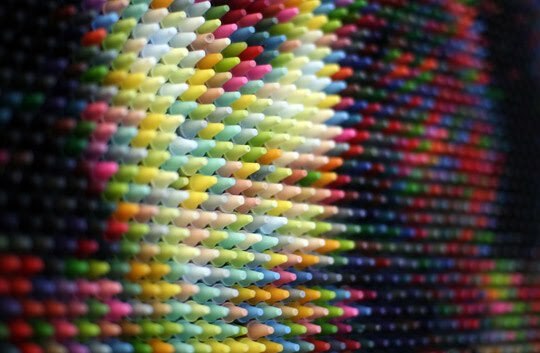 Below is the detail of the same image showing how the image is made up. Must be a patient person….